My hops bines sprouted. 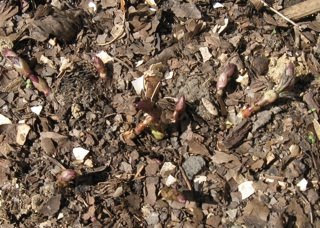 The first signs of hops this year came before I even planted the rhizome last year. At last count, 11 buds had sprouted, compared with a total of 2 for all of last year. Luckily hops are resistant to frost. April Showers aren’t supposed to be frozen!